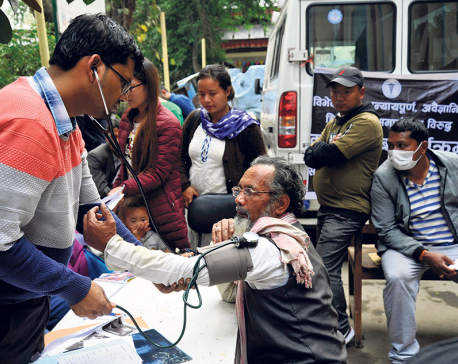 KATHMANDU, Feb 25: Doctors working at government health institutions have issued a 72-hour ultimatum to the government to address their demands. The doctors have announced to boycott all services except emergency from Wednesday (February 27) onward if their demands are not met. Issuing a five-point ultimatum on Sunday, the Government Doctors’ Association of Nepal (Godan) issued the warning to the government saying that they would resign in mass. The agitating doctors have been protesting against the government’s decision to adjust them in the three tiers of government in the new federal setup. The doctors are against the government plan to place them under provincial and local governments and want to remain under the federal government, according to Godan. The doctors have demanded that the government amend the Civil Service Adjustment Bill. According to Godan, there are 1,600 doctors working in the government health facilities across the country. However, the Ministry of Health and Population informed that about 1,400 doctors are working now in the government health facilities. 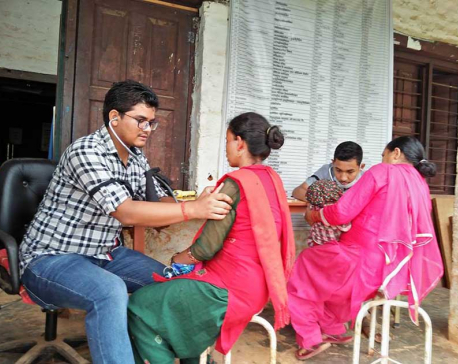 A record of Nepal Medical Council (NMC) shows that more than 21,000 doctors are registered with the NMC.